After a short break, KidsOut is happy to welcome you to this week’s World Stories Wednesday! Every week, KidsOut showcases one of the amazing tales from our World Stories database, giving you a flavour of the breadth and diversity of our collection. 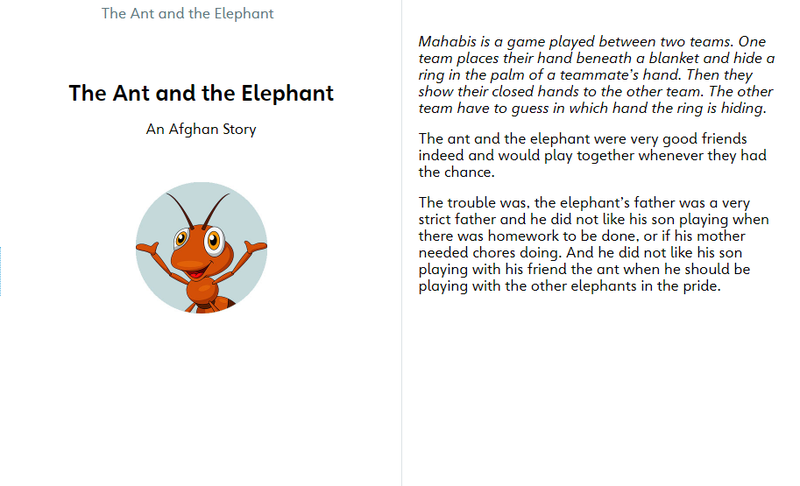 This week’s story is The Ant and the Elephant. 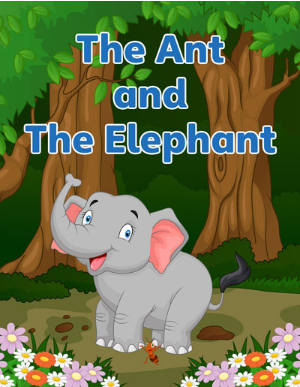 The Ant and the Elephant is aimed at children aged five to seven and is available in English and Filipino. This entertaining and inspiring tale is perfect for readers just starting to understand English. Want to find out what happens next for the ant and the elephant? Are you a teacher and interested in introducing this story and others to your class? Click the links below for more information and to sign up to World Stories for FREE! KidsOut launched World Stories in 2012 as a free, electronic library of short stories and tales from around the world. The service was primarily created to help children with English as a second language and includes the English and native translations of over 100 stories and counting. Currently one in seven UK children speaks a language other than English as their first language, often struggling to learn in an unfamiliar language and environment. World Stories is a growing collection of traditional and original stories from around the world representing the fifteen most commonly spoken languages by children in the UK. With more and more stories being uploaded to our database in written and audio format, World Stories opens the world to children. KidsOut also cater to schools that will benefit from extra support, providing teaching resources, illustrations, and audio to make the stories as engaging for pupils as possible. There is a new World Stories website being launched soon, so keep up to date with our website and follow our Facebook and Twitter pages for any updates. All of our stories are translated by a team of committed and generous volunteers. Without them, this service would not be possible. To get in touch to become a volunteer and create your own stories or translations, email nitesh.deb@kidsout.org.uk or call 01525243216. Be sure to check the news section of our website next week for another World Stories Wednesday!